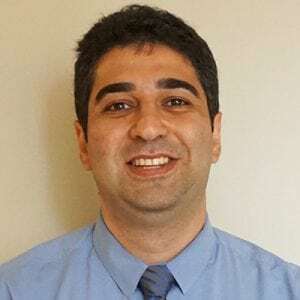 Dr. Aos Karim is a PGY-2 categorical resident. He joined our residency program after graduating from the MD program at the University of Wisconsin School of Medicine and Public Health in 2016. During his time in medical school, Dr. Karim was awarded a year-long fellowship from the Howard Hughes Medical Institute to study kidney fibrosis and oxidative stress following ischemia and perfusion. He completed his fellowship in the lab of Dr. Arjang Djamali at the University of Wisconsin. He remains interested in transplantation and is looking forward to continuing his research after his second year of residency. In his free time, Aos enjoys cooking, kayaking, and playing basketball. If you’re curious about how to say his name, it is like “house” without the H.